The poster image of Harry Kane has him in a hero’s pose. It captures him in full concentration, eyes fixed on the back of the ball, steering another Tottenham goal into the net. Or maybe it’s the aftermath – the little jump he does after scoring, or that slightly strange, Shearer-lite thing he does with his arms. That’s the Kane who draws the cheers and the commentators’ inflections. Increasingly though, it’s not entirely representative of who he is. He remains a centre-forward and his currency will always be goals, but the last 18 months has seen a broadening of his game. To describe him as a goalscorer is still accurate, but it’s now to do him a slight disservice. As, of course, is the assumption that his worth rises and falls perfectly in step with his conversion rate. To call someone a playmaker is to conjure images of slide-rule passes, delicate touches and reverse balls which buckle the knees. Essentially, it’s to imagine David Silva. 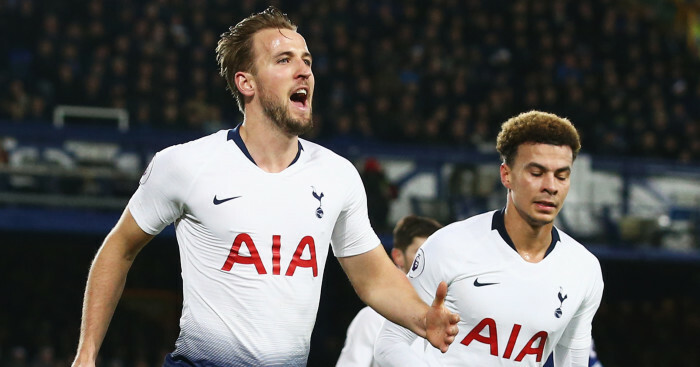 Kane isn’t that, clearly, but there’s a layer of his game which is now richly creative – and, increasingly, it’s something which Tottenham depend on. Especially in the absence of Christian Eriksen. In January 2018, Mauricio Pochettino’s side visited Swansea. It was a horrible night and the game was played in sideways rain on a pitch scarred by a recent rugby game. Kane didn’t start that match, but he ended it: he received an out-ball on the touchline, pivoted away from two home defenders and then launched a 40-yard pass onto the edge of the penalty box and into the stride of Dele Alli. Lukasz Fabianski saved the first shot, but a stumbling Alli steered the rebound into the roof of the net. 2-0, game over. That actually happened right in front of me and it was startling. Kane is assumed to be quite a mechanical player – it’s true, he’s not the most graceful – but the accuracy of those touches and the quickness of thought which instructed them betrayed attributes that are supposedly absent. During the most recent international break, he showed them again. The highlight of England’s visit to Betis was probably Raheem Sterling’s first goal – work of art that it was – but England’s second was quietly spectacular. On Tuesday morning, The Football Association published their pitch side video of the win over Spain on their YouTube channel and the angle of that goal shows its finer detail. Jordan Pickford makes a regulation save and from that moment Kane is alive: he points to where he wants the punt delivered, he catches Sergio Ramos in his periphery and upsets his balance, and then with three touches he kills the pass, pivots away from Ramos, Nacho and lastly the covering Sergio Busquets, and then with his last he puts Marcus Rashford through to beat David De Gea. That might be the finest five seconds of play an England centre-forward has produced in two decades. In that passage, Kane swatted Ramos away like he was his little brother, left Busquets helpless, and turned Nacho into a hologram. None of those players had particular good nights, but they are all European Cup winners and, from an English perspective, it was immensely gratifying to watch them being out-muscled and then, best of all, out-thought. Even Marca were charmed, referring to Kane’s performance as ‘a masterclass in how to be a great centreforward without scoring’. Not bad for a publication who so regularly look down their noses at anything which occurs outside Madrid. In Daniel Storey’s article about Olivier Giroud, he notes the inverse relationship between the Frenchman’s lack of goals and his importance to club and country. Kane is a superior finisher and has always been more prolific than Giroud, but there’s an equivalence in the sense that, even when he’s not scoring, Kane typically still makes a contribution – and not just by making space for his teammates with particular runs, or by simply working hard. Instead, it’s in a way which suits England and Southgate’s emphasis on his wide forwards, and which has also become fundamental to the way Tottenham play. The system employed by Pochettino relies heavily on the full-backs for the provision of width and, over the past few seasons, Kane has often been key to their effect. He will drop deep into a position near to the touchline and then, with defensive attention focused towards him and the opposition’s left-back dragged in field to provide cover, will drive a diagonal ball into the path of Kieran Trippier or Serge Aurier on the far side. It’s a designed tactic, that’s obvious from the way the Spurs players respond when Kane receives possession in that area, but it’s still a clever phase and, particularly at home against teams content to sit deep, it offers a quick, valuable gear change. It has become the emblem for that side of his playing personality and its the headline for the work he does outside the box. 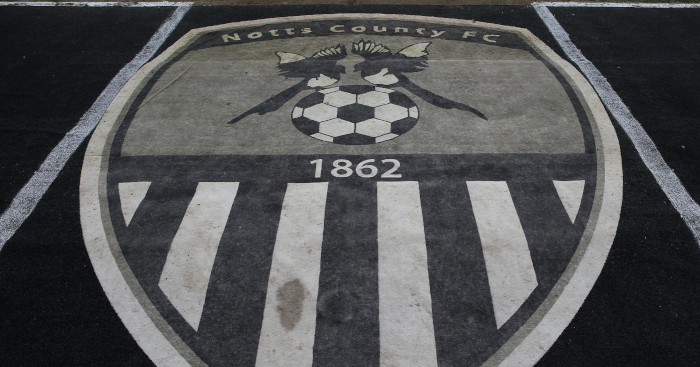 It has also, in these recent months, provided valuable compensation for that lack of goals. There’s a risk here of wandering into Roberto Soldado territory. Many Tottenham fans liked Soldado as a person and sympathised with his struggles; the result was an over-emphasis on all the parts of his game which didn’t really matter. 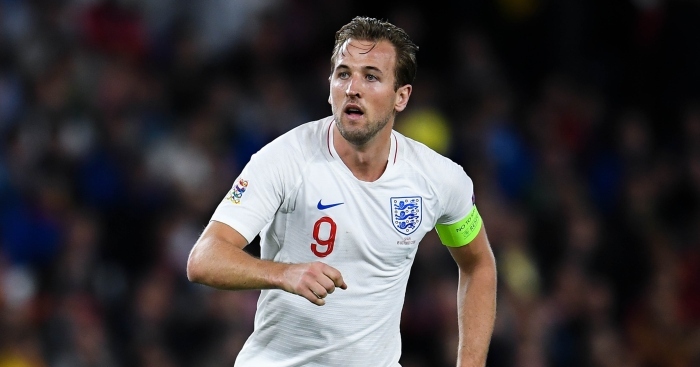 But, while it’s true that Kane’s goal tally isn’t what it should be and that another international break has passed without a goal from open play, this isn’t one of those either/or situations – instead, it’s an acknowledgement that while Kane made his name as a goalscorer and has a reputation which will always depend on that specific ability, he has quietly grown into one of the most rounded forwards of his generation. From Tottenham’s perspective, it’s just as well. Pochettino is currently without Dele Alli and Christian Eriksen and his side is currently having to operate without any sort of imagination. With Mousa Dembele also creaking, the Argentine’s midfield has become desperately blunt and so it’s been into that void that Kane has had to step. Recent games have seen Lucas Moura used almost as a centre-forward and Kane pushed back and into the areas that either Alli or Eriksen would typically occupy. 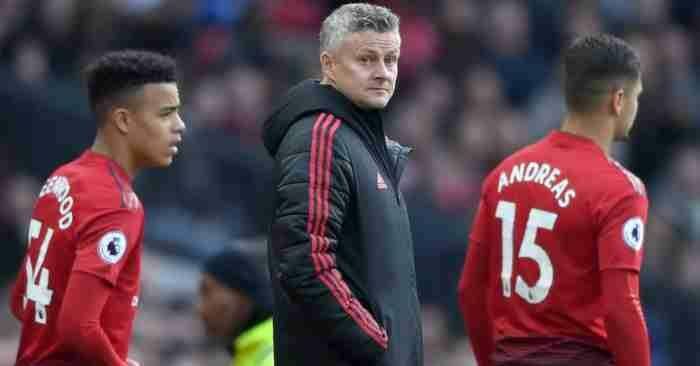 Against Huddersfield, he played more passes from inside his own half than he did in the home penalty box, and against Cardiff at Wembley, in an admittedly dreadful game, only nine of the passes he gave were within what could be considered the final third. Kane has struggled in front of goal. He has been reticent and inaccurate ever since recovering from an injury sustained at Bournemouth. But he has also had to be re-imagined by Pochettino in response to this injury crisis and it’s that versatility which has allowed an under-performing Tottenham to remain semi-functional. 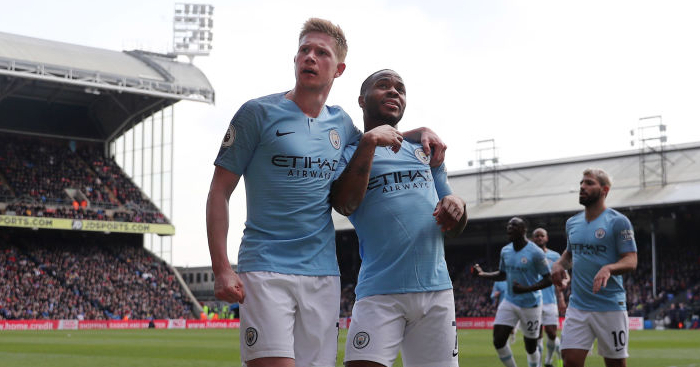 He isn’t just pushed into those positions to provide long balls and smart passes, but to provide a link between two-thirds of the side; he now has two jobs – he is both goalscoring talisman and vital connecting piece. It’s perhaps a little tenuous and maybe also too neat, but it’s tempting to see the passage of play against Spain as derivative of that situation. 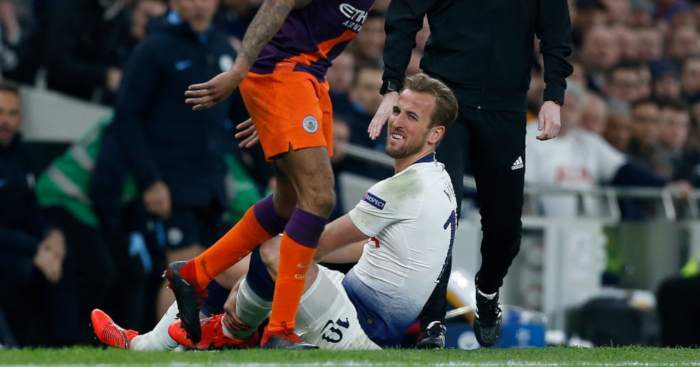 Kane has had to become used to operating in greater isolation, has had to become more aware of the play around him and, not incidentally, has had to build an impromptu relationship with a quick, direct forward who often advances beyond him. For Lucas Moura at club level, then, see Marcus Rashford and Raheem Sterling with England. Those dots likely don’t join that neatly in reality, but there was still something so fitting about Kane demonstrating these new frills in that kind of fixture. The Spanish respect him, that was obvious from the pre-match interviews and the comments they birthed, but that seemed little more than statistical admiration – they viewed him as the traditional English centre-forward who runs head-first into locked doors for 90 minutes and succeeds through sheer force of will. To them, he’s Chaucer’s Miller. To produce that bit of play was to defeat the assumptions around which the tactical plan to contain him had clearly been designed. Surround him, block off his route to goal and take away his shooting angles. No, there’s more to him than that and there it was in technicolour: all the ways in which this special player can hurt you.